First Taste is designed to grab a child’s attention with song, art, drama and games. By exposure to the aleph-bet, Torah tales, prayer through song and holiday studies, a child gains a sense of pride and love for Judaism. Our tuition for the school year can be paid in one sum or in ten monthly installments for your convenience. Please see the Tuition Agreement Form for available payment methods and discounts that may apply to your family. Registration fees are non-refundable. Should you decide to withdraw your child from Hebrew School, your refund will be pro-rated up to April 1, After that date no refund will be allowed for school tuition. There are no refunds or credits for days missed due to illness, holidays or family vacations. Limited scholarships are available for needy families. Please call our office for scholarship requests. 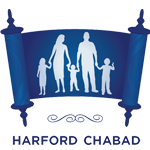 School Calendar: A school calendar listing dates on which there will be no Hebrew School classes will be sent to you. Please place it somewhere you can easily access it for year-round reference. Communication: We strongly encourage close communication between school staff and parents. We are deeply concerned about the progress of each individual student and would be more than willing to spend time discussing your child’s progress with you. Please don’t hesitate to call us at 443-353-9718 should any issue or question arise.